[Editor's note: This is Paul's second wonderful wire tutorial that he wrote for us. The third will be posted next week...don't miss any of them! First, a selection of tumbled gemstone rocks is good, even better if you know the names. 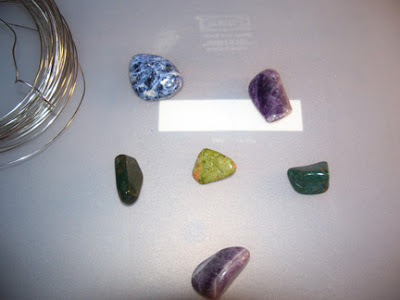 The ones I know in this picture above are sodalite (top left), unakite (centre), “green ones I don’t remember” and “two I hope are amethyst”. This project works best with a stone that has a flat bottom. I’m practicing, so the wire used is very cheap stainless steel 20G. I spent $2 for 25 ft at a hardware store. I used around a foot for the design on a 1.5” x 1” x ½” stone, but it’s hard to gauge and depends on the number of wraps you make. You can also work directly from the spool so you don’t waste it, but then it’s a bit awkward to position everything. 1. 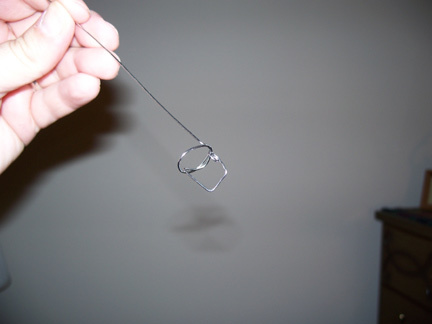 Using chain nose pliers to hold a length of straightened 20G wire, start a loose spiral with a couple of twists using your other hand. It should be less than half the length of the stone. 2. 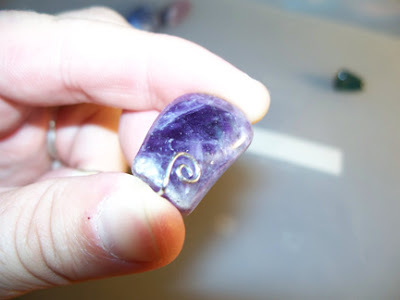 Place this curl at the bottom centre front face of the stone. You can paper-tape it in place if it makes this easier. 3. Turn it over so the back of the stone faces you, while holding the curl in place. 4. Bend the wire along the centre bottom of the stone. 5. 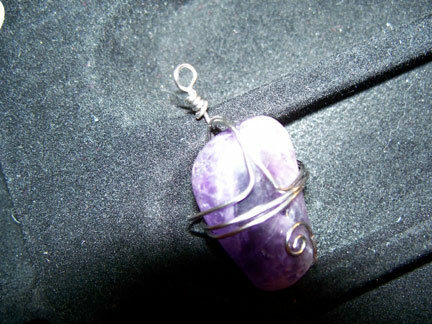 Put your thumb on the wire at the bottom of the stone, your index finger on top. 6. Bend the wire straight up the middle of the back. 7. Bend that back wire 90 degrees somewhere above the curl, halfway up or a slight bit higher. 8. 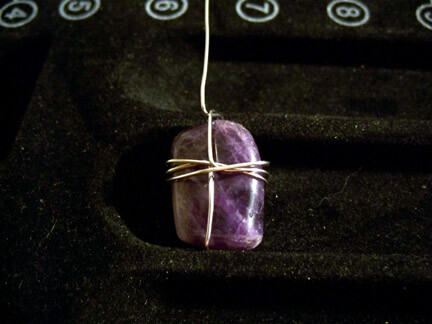 Holding the curl and back vertical wire firmly, make one tight horizontal wrap around the stone, then a half wrap little further so the wire ends up in front. 9. 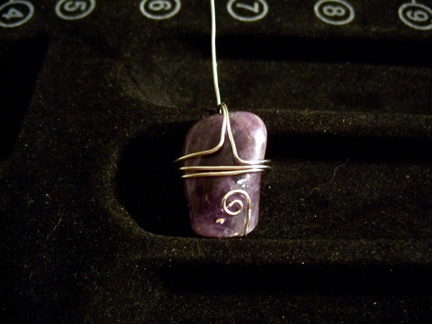 Make a 90 degree bend so the wire points toward the top of the stone, centred with the curl. 11. Make a 90 degree bend in the opposite direction from the first, and go around the stone in a tight wrap 1.5 times, and bend it up again. You’ll wind up with two 90 degree bends at the front with 2 wires going up (hopefully better aligned than mine). Now it’s ready to by attached to something. It’s rustic, but nice. *Cyndi's instructions for a wrapped loop were spot on, so please reference hers if necessary. Thanks for the tut. I received my book yesterday. Lots of ideas to try. Thanks Again.